Joli Paquet: It's Give Away Time! EDITED 10/19/09 - Comments are now closed for entries. I will announce a winner later today! We hope you are enjoying Joli Paquet and it's inspiring you for the fall and Halloween season! Here's a little give away to help get you in the Halloween spirit! Just leave a comment on this post by Sunday, Oct. 18th listing your favorite Halloween candy! 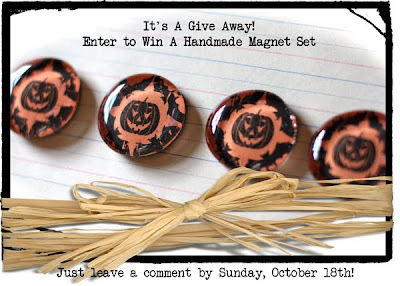 One winner will win the set of handmade magnets that comes in a round window tin. I will announce a winner on Monday, Oct. 19th! I will also be back tomorrow (Friday) with an easy tutorial that you will be able to make in a snap! So be sure and come back tomorrow for the tutorial! 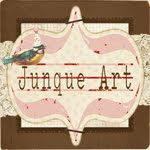 Also we just want to remind you to post your tutorial and kit creations to the Joli Flickr group. You can find it on the left in the side bar! 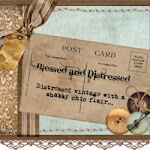 I don't know if this is available for UK bloggers but if so these magnets look great! My favourite Halloween candy would be Twizzlers. They're hard to come by in the UK but I have a nose to track them down now!!! Adorable!! My favorite Halloween Candy would have to be Kit Kats. I love them!!! I came by way of Tip Junkie! Please enter me for those too cute magnets! My fav candy-m&m peanuts- and I do like candy corn because I would never eat it at any other time of year! Good golly I'm boring---my favorite Halloween treat is candy corn. I know--ho hum.... Great magnets! Mmmmm.... I love the look of the candy corn. these are great- just like your other magnets. SO cute! I'd love to add these adorable magnets to my Halloween decor! Cute magnets....I love candy corn! Magnets are adorable, would love to win them. My favorite candy is "twerps" but my favorite Halloween candy from when I was a kid is definitely "dots". Love the site, ordered Cindy's kit too as a birthday gift for myself. Can't wait for it to come. Wow... it's hard to pick just one. I love candy corn but I ate my first chocolate eyeball yesterday and it was delicious!!! My fave Halloween Candy is those Candy Pumpkins like the candy corn they are so delish! Cute magnets! I'm very seasonal so my favorite Halloween candy would be black licorice twizzlers. Looking forwrad to your tut tomorrow! Love the little magnets. and I love peanut butter taffy. I can only find it this time of year. Very cute magnets! Halloween is my favorite holiday :) I would have to say my favorite Halloween candy is Halloween Peeps with candy corn coming in second. I'm definitely not picky when it comes to candy though! Thanks for the giveaway!! My fav Halloween candy is called Skull Pops. They're kind of grape/ strawberry flavored. The front is white the back is dark purple. Yum! I don't know that there is any one candy I can pick to be my favorite. I love it all. Maybe the mini candy bars....or m&m's? Cute magnets by the way! Candy corn - hands down! It's so yummy I could eat it all year! Cute magnets! I love Milk Duds. When I was little it was always a toss up between Milk Duds and Drops...maybe I just like candy that comes in little boxes, like Junior Mints, yummy. Love the magnets. My favorite Halloween candy are Runts. Hmmm does liking the contents of the entire candy isle count? If so, entire me in the drawing!! I already have a stash of M&M's, Candy Corn, and Twix....mmmmm...I might have to go get some now. it would have to be reese's peanut butter pumpkins. you are probably thinking they are the same as the cups, but they are so not. they are yummy and so much better without the ridges around the edge and they have much more peanut butter! mmmm, makes me want one right now! My favorite HW candy would be candy corn. Cute magnets! Thanks for all the great tutorials. My favorite candy has to be Milk Duds. Yum! My favorite halloween candy is candy corn! yum! I want to get some now! 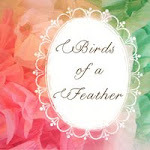 I just love this blog! Pretty much anything chocolate is my favorite, but I guess best of all is KitKats. Very cute magnets! My favorite Halloween candy is Reese's Peanut Butter cups. cute stuff! thanks for all inspo. gotta go with CANDY CORN!!!!! Love those magnets. Candy Corn. my favorite Halloween candy is paydays! love my peanuts! I definitely love candy corn! Those magnets are just too cute! I just love your magnet set! Absolutely adorable! I love me some Almond Joys! I remember trick or treating as a kid and being really mad when people would give me Mounds to put in my Halloween pail, I mean why couldn't they just as easily give you an Almond Joy? Such cute magnets! 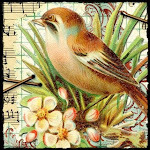 All the tutorials and kits are great - ordering some today. As for Halloween candy, it's all yummy, but the candy corn and pumpkins are my favorites + the cute new Peeps! the CUTEST IDEA EVER ! LOVE IT ...please include me in your giveaway ! Please include me in your giveaway. These magnets are too cute! Adorable magnets! I think I may have to make some like that. Great inspiration here! Please don't include me in your giveaway, just wanted to say Hi! anything with peanut butter and chocolate! It is a toss up between Mary Janes and sweet tarts! I love these pumpkin magnets....too cute!! forgot my fav Halloween candy..Candy corn! I love the magnets and I've been having such fun with the tutorials...thanks so much! I just found your website, someone linked over for a Halloween Blog party that I'm participating in. I am in love! And I've just added you to my favorites. Always, always, always it is candy corn! The colors, the taste, the noise they make when you shake a bagful, my favorite! 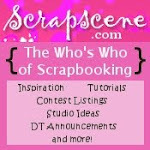 hello ,just discovered your fun blog will add to my links..just a quick note as want to go read more!